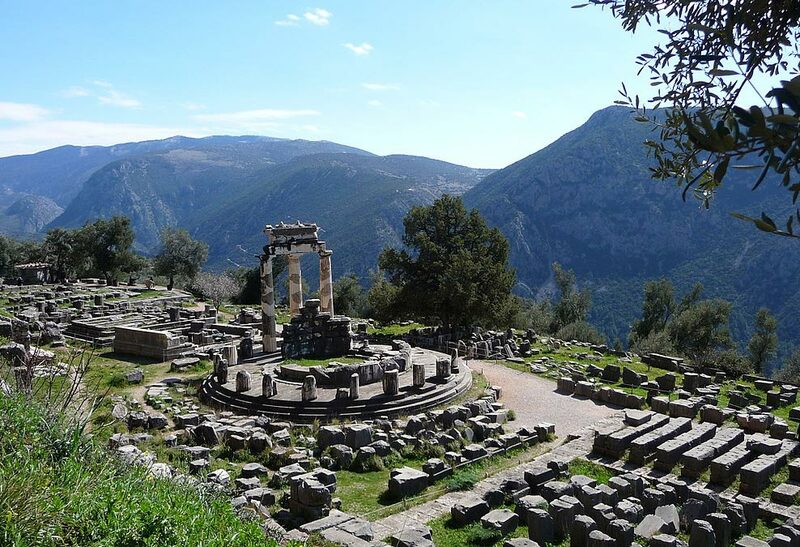 On the slopes of Mount Parnassus, not far from Athens lies the archaeological site of Delphi, sanctuary of Apollo and the most important oracle of the ancient world. Here, the ancient Greeks from around the world would come to consult the God for their important private and public matters. 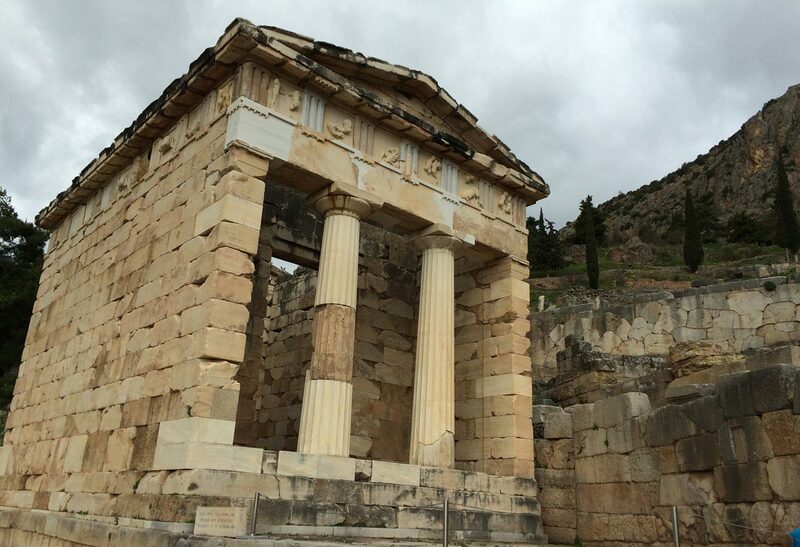 Today, Delphi is one of the highlights of a tour in Greece: built in a stunning location of unparalleled Mediterranean beauty, it transmits the grandeur of the ancient art and architecture. After leaving Athens in the morning, we cross the Boeotia plain and reach the foothills of Mount Parnassus. 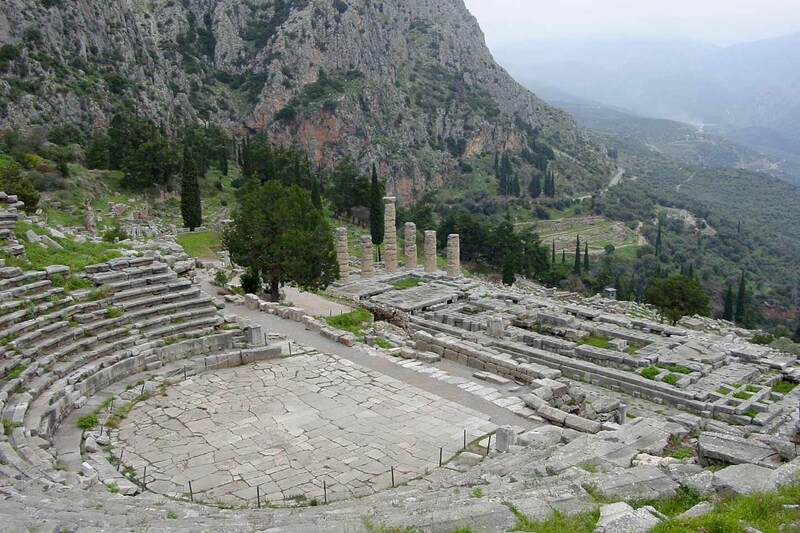 We cross the picturesque town of Arachova and arrive in the archaeological site of Delphi. 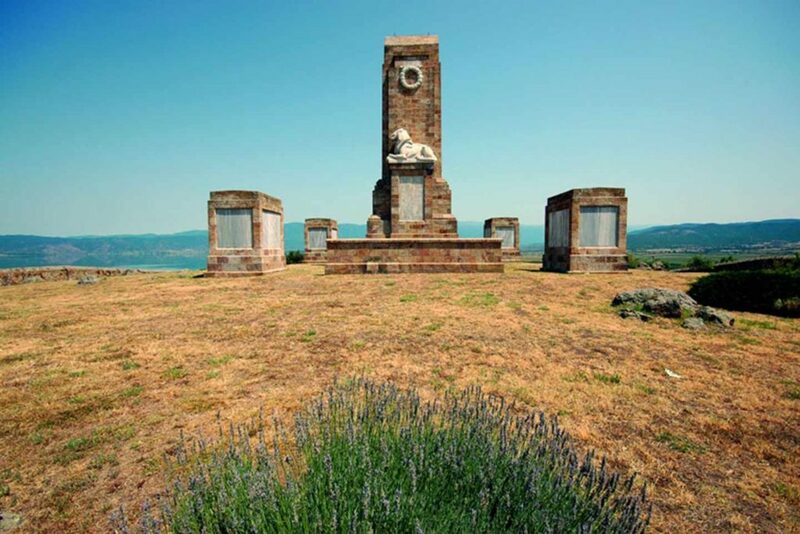 Here, we will visit the site and the museum where we will admire masterpieces of ancient art, such as the famous Iniochos (the Charioteer) and the frieze from the Treasure of the Siphnians. 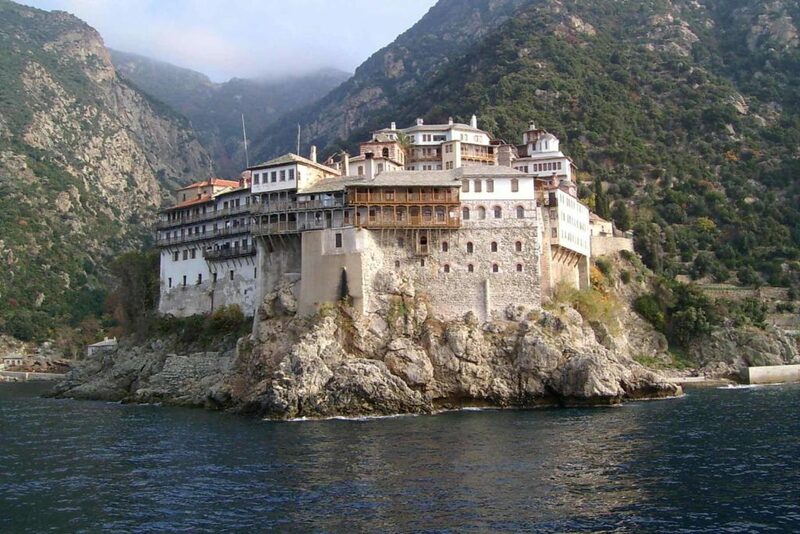 After the visit, free time in Arachova and return to Athens by the afternoon. Delphi is one of the most surprising and interesting archaeological sites you can visit in Greece, not only because of its outstanding historical importance, the beauty and the quality of the findings, but also because of the beauty of the landscape. You will get to know about the life in the sanctuary of Apollo and the practices for predicting the future. Being built on the rocky slope of the Parnassus Mountain, Delphi can present some difficulty to walk, although marked and paved paths make it rather easy even for people with mobility problems. During the warm season, you are advised to carry with you a hat, sunscreen and water. Comfortable walking shoes are also advised. The archaeological museum of Delphi with the reliefs from the Treasure of the Sifnians and the world’famous Charioteer. 13:00 Arrival at the archaeological museum of Delphi. 14:00 End of the visit. Transfer to Delphi village and free time.